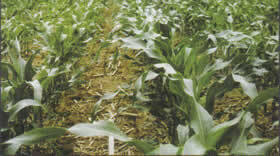 Nitrogen Management: 1.2 For Who? 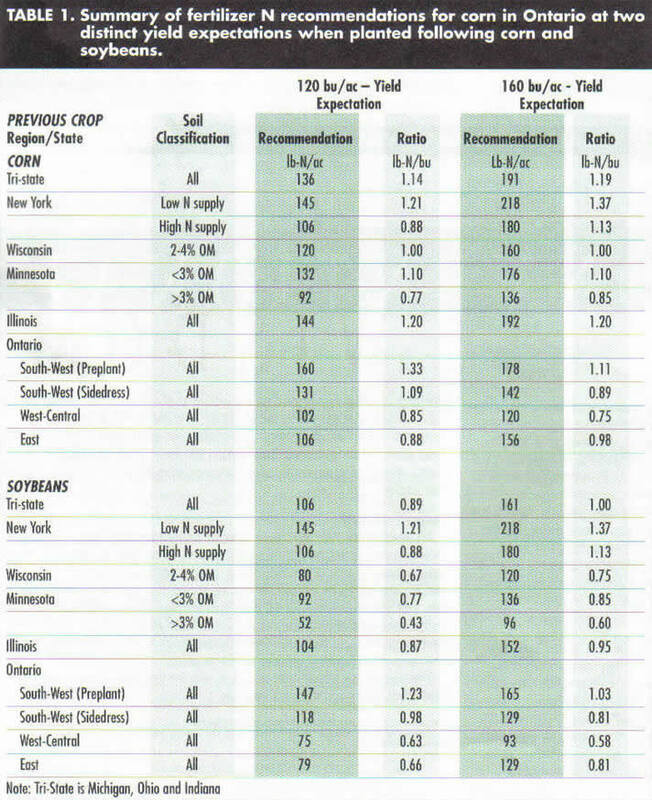 3) that actual fertilizer N requirements for corn in Ontario are often less than 1.0 Ib-N per bushel of expected yield when corn follows soybeans in rotation. The 1.2 Ib-N/bu formula may have been a reasonable predictor of corn fertilizer N requirements 30 years ago when there was a tendency to plant corn continuously. However, now that most corn is planted in rotation, the 1.2 Ib-N/bu formula often over estimates (by double in many parts of Ontario) corn N fertilizer requirements. A fact that you may want to consider as you face the challenges of running a farm operation that is economically viable and environmentally sustainable.